Last minute travel bargains can be a great way to get away for less. Britain is a pretty depressing place to be at the moment, with news of budget cuts in all areas. Why not pack a suitcase and head off for a bit of sunny, light relief? When you’re saving cash on your trip, you can afford to splash out and travel that little bit further than usual. Southeast Asia is a part of the world which offers amazing value for money, and is more easily accessible than you may imagine. It seems that more and more people are discovering what Southeast Asia has to offer. Recent findings by the UN World Tourism Organisation (UNWTO) show that the popularity of Southeast Asia as an overseas tourism destination continues to grow. These findings confirm continuous growth through 2009 and 2010, which is much deserved by such a stunningly beautiful part of the world. Made up of Borneo, Cambodia, Malaysia, Singapore and Vietnam, Southeast Asia is an exotic and largely unspoilt region. Easily accessible from the UK, and with good connections between countries, it’s the perfect place to enjoy a touring holiday. Those who are short on time may have to choose just one destination, however, and this is an unenviable task. With each country having its own individual appeal, it’s important to decide what you want from your holiday before you book. Borneo holidays are a great choice for those considering Southeast Asia as a destination. Borneo is a particularly good choice for nature and wildlife lovers. Despite being a popular destination, Borneo manages to still provide a largely unspoilt and natural experience. 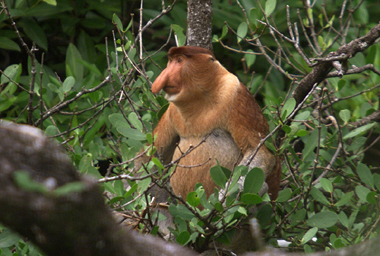 As an eco-tourism hotspot, Borneo goes to great lengths to protect its natural habitats. In the lush forests it is possible to see orang-utans, gibbons, ox, rhinoceros, elephants, deer, leopards and bears. Your best chance of getting up close to an orang-utan is at one of the rescue centres at Sepilok or Semenggok. These rescue centres rehabilitate captive orang-utans ready for return to the wild. The Sepilok Nature Resort offers comfortable chalet accommodation, whereas the Sepilok Jungle resort offers air-conditioned private rooms and beds in dorms. The Samboja Eco Lodge in East Kalimantan is another great place to see orang-utans as its land is home to over 100 of the intriguing animals. Even if you aren’t lucky enough to see animals in the wild, the lush forests of Borneo are still well worth exploration. The country is home to nearly 11,000 species of flowering plants, and more than 700 species of trees, making it a very green place indeed. Exotic flowers the size of dustbin lids flower beside deep brown rivers, and much of Borneo has the feeling of a mysterious paradise lost. Those who prefer water to land will not be disappointed in Borneo, as the country also has some stunning beaches. Kota Kinabalu is a well developed resort where you can enjoy a range of watersports. One of the comfortable hotels in Kota Kinabalu will also make a great base for some more adventurous excursions. Nearby volcanic island Pulau Tiga is easily accessible by boat, and is a popular place to visit from Kota Kinabalu thanks to it being used as the location for the American reality show Survivor. Mount Kinabalu presents the opportunity for holidaymakers to enjoy a mountain trek, and is an achievable climb for anyone with reasonable levels of fitness. It is a trek which takes two days to complete so be prepared for a long walk; however, the amazing views of Borneo from the summit will be ample reward for your efforts. The food in Borneo is often spicy, sticky and exotic. Delicacies include stir-fried jungle ferns and local tropical fruits, including the foul smelling durian fruit. Seafood is also a good choice on any menu, as is to be expected when the coast is on the doorstep. Western visitors may be unfamiliar with much of Borneo’s traditional cuisine, but will quickly develop a taste for the delicious delicacies through working up an adventurer’s appetite. A holiday in Borneo isn’t one to waste lounging poolside. The beauty of this country is discovered through exploration and adventure. Jungle treks, mountain climbs and island trips make for an action-packed trip that will leave you with more than just memories of the pool bar or hotel spa. Travellers to Borneo leave with not only a tan, but also a sense of achievement at the discoveries that they have made. actually In hot weather, the body sometimes produces more heat,leading to heat exhaustion, you can enjoy more on the different beaches like Goa, Kerala,and other beaches of india. and also see good weather on the side of beaches. you will come in india then see different beaches, cultures and famous places of indian. Borneo is one place I would love to visit! It really appeals to me! Do you have any more pictures?